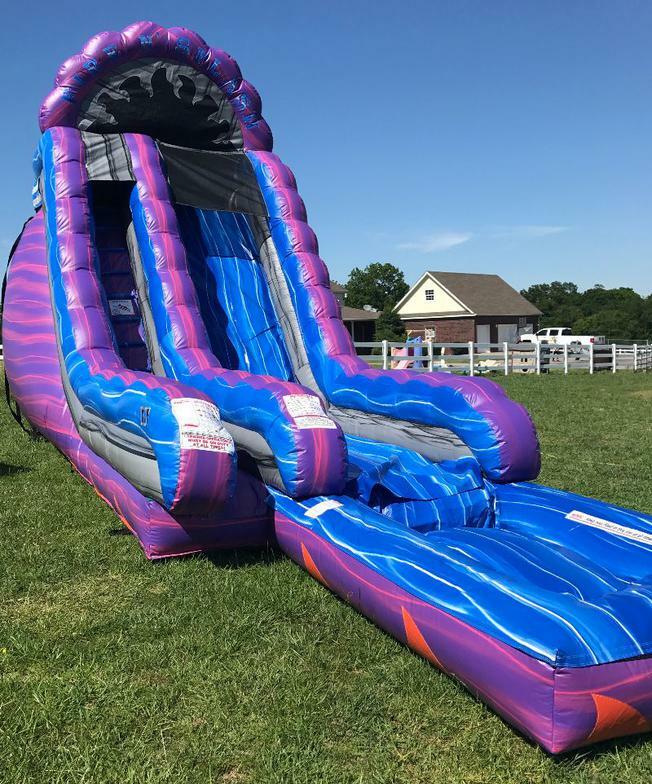 The 20ft Inflatable Blue Lagoon Water Slide is an exciting addition to any backyard party or church event. 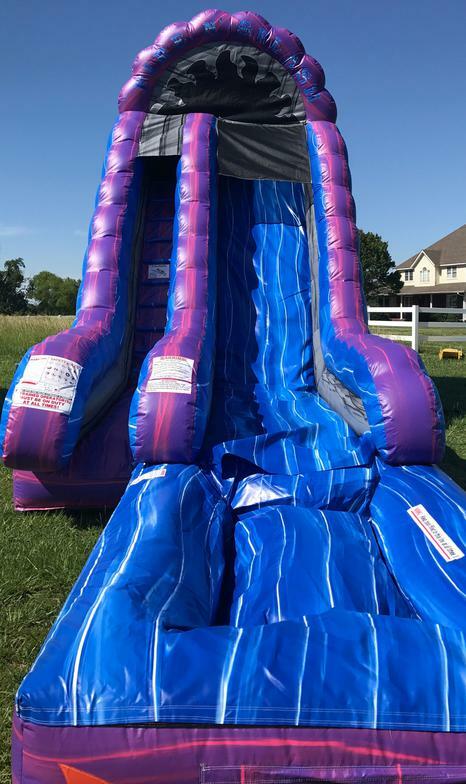 Climb the steps and then come zooming down this fast slide into a pool of water. Fun for all ages!